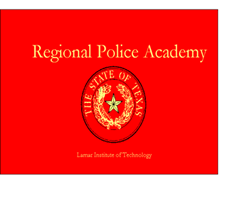 Advanced FTO Course 1/13 through 1/15, 2015 Police Academy, 24 hours. This class is conducted by nationally renowned instructor Neal Troutman. Excellent course. Patrol Tactics (instructed by Ray DeCunto), 5/20 through 5/22, 2015, Beaumont Police Department Range House, 24 hours. Many of you have attended courses taught by Ray, either the Street Survival course, his Narcotics Officers Tactics course or the Patrol Tactics course he taught here in March of 2014. Excellent hands on course. I’m still working on scheduling the following core courses: Arrest, Search, and Seizure; Spanish; and Crime Scene. Hopefully I will have them nailed down in the next week or two. Call Karen to confirm space is available, then e-mail her to reserve your seat. Some classes have limited space. The number for Karen is 409 — 880 — 8022.